US secretary of State is gradually getting used to setting records. 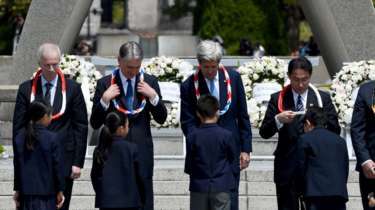 Shortly after making history as the first US envoy to visit Cuba in 53 years, John Kerry has visited Hiroshima. Hiroshima is one of the two cities where the US dropped an atomic bomb in 1945. Over 140,000 people were killed in the attack. As US and Japan strengthen relations, John Kerry’s visit no doubt seeks to consolidate relations. 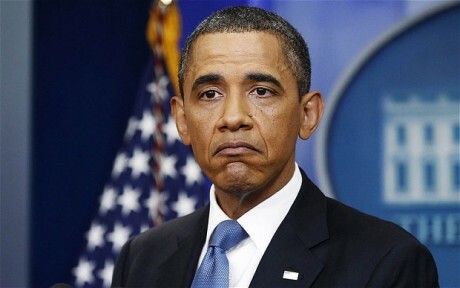 The US is counting on Japan to act as a check on regional powerhouse China. Kerry visited the Hiroshima museum and wrote in the guestbook, “a stark, harsh, compelling reminder not only of our obligation to end the threat of nuclear weapons, but to rededicate all our effort to avoid war itself”.